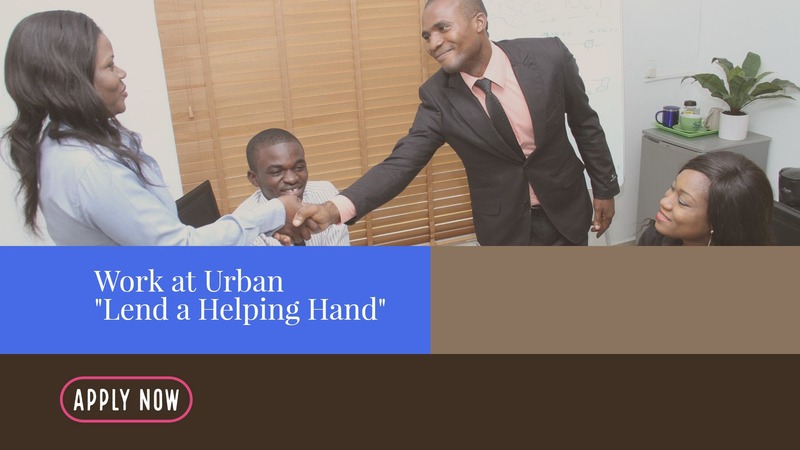 Careers - Urban Renewal Corp.
Click on the tabs below to view job openings. The Administrative Assistant I position is responsible for administrative support and accountability of residents for the program at their assigned facility. This position manages information of a sensitive and confidential nature. The position requires a high school diploma or G.E.D. and one year of administrative experience or a proven combination of education and experience. Intermediate level of Microsoft Word and Excel required, including creating, editing, formatting, and printing documents and spreadsheets. A valid driver’s license is required. Type correspondence, reports, and proposals, and produce spreadsheets. Screen and refer phone calls and inquiries to appropriate staff. Schedule appointments and meetings for staff. Input information into computer databases. Manage resident finances and filing system. Requisition and monitor office supplies and equipment. Sort and distribute mail, make photocopies and send faxes as needed. Coordinate and communicate with Administrative Assistant I I. Account for each resident in the facility and in the community on a “real time” basis. Ensure the safety of staff and residents in the facility. Provide supervision and surveillance of the residents, facility staff and visitors as well as the facility perimeter. Ensure that contraband is not brought into the facility. Conduct urine monitoring (if applicable). Monitor entry and egress of all residents and visitors. Correspondence, reports, proposals and spreadsheets are accurate and timely. Resident finances are accurate and current. Inquiries are handled professionally and accurately. Schedules and appointments are maintained efficiently. Databases are accurate and current. Materials are filed properly and filing system is consistent with agency policy. Paperwork is distributed to appropriate staff for processing. Related tasks are performed completely, accurately and on time. Accurate accountability practices will be maintained. The Operations Coordinator is responsible for establishing accountability procedures and the oversight of the daily accountability for the URC corrections program. Accountability shall be in accordance with the goals, philosophy, policies and procedures of Urban Renewal Corp. and NJ Department of Corrections. A Bachelor’s Degree in Criminal Justice or a related field and/or at least five years of transferable experience with increasing responsibility and supervisory oversight. This position requires the ability to manage, train, and supervise staff in the industry accepted accountability and security protocols. This position requires a demonstrated ability to implement accountability and security measures to meet correction industry standards and program goals. A combination of the following skills and abilities: supervision, security/operational oversight and evaluation of program accountability procedures. This position requires the ability to learn and navigate the organization’s management information system (SecurManage) at an advanced level. This position requires a current drivers’ license and the availability to work a flexible schedule including nights, weekends and holidays. Must be available to be on-call 24-hours a day, seven (7) days a week. Oversee site monitors and all accountability activities. Maintain daily records to ensure that all staff fulfills reporting requirements in a timely manner. Maintain accountability and security procedures in accordance with NJ DOC, ACA/PREA and program standards. This position is the ACA/PREA point person. Manage controllable accountability and security costs. Execution of program policies and plans established by URC and its funding source. Facilitate site monitor meetings (minimally once per week). Ensure the implementation of daily accountability and security procedures meets requirements of funding sources. Develop and maintain positive relationships with local law enforcement organizations, SPB representatives and NJ DOC regional institutions. Ensure staff is properly trained in accountability and security protocols. Maintain a safe and orderly environment for residents and staff. Handle emergencies in accordance with established policies and procedures. Provision of 24/7 on-call consultation and support. Complete and submit all reports timely and accurately. Perform other functions as directed. To meet project goals and objectives. To continually maintain and improve accountability and security. To continually maintain compliance with state and federal mandates and regulations. To operate within budget guidelines. To continually maintain a well trained professional staff. To maintain a positive public image and relationship with outside agencies. The site monitor is responsible for the oversight and accountability of all residents and the facility. The site monitor assists the Operations Coordinator and the Site Director with implementation of assigned functional aspects of the accountability process which will enable the resident to engage in services while ensuring timely reporting and responsibility to policies and procedures of URC and NJ DOC. The position requires a high school diploma or G.E.D. The position requires computer proficiency and one year of experience with similar populations. The position requires a valid driver’s license. Gather and organize data for required reports. Supervise residents’ signing in/out and monitor and record all telephone and physical counts and regular tours of the facility. Monitor and direct traffic and activities within the Program. Communicate information to succeeding shifts regarding furloughs, restrictions, special meals/diets, house maintenance, supplies, urine monitoring, medication or anything else requiring action. Handle emergencies in accordance with established policies and procedures. Assist in monitoring all meals. Maintain general cleanliness of facility by monitoring residents’ chore performance. Participate in staff training as assigned. Refer problems beyond the authority or responsibility of the position to the appropriate staff on duty or contact the Operations Coordinator, Site Director and/or Program Director (in that order). Participate in staff meetings and self-government meetings as directed. Adhere to the policies and procedures of Urban Renewal Corp.’s Residential Community Release Program and the N. J. Department of Corrections. The job of Maintenance Worker was established for the purpose(s) of providing maintenance services as needed and/or assigned; assisting in a wide variety of maintenance activities; addressing immediate operational and/or safety concerns; assisting skilled trades; and ensuring that tools, materials and vehicles are maintained in good working order and are available at facility site(s) when needed. The usual and customary methods of performing the job’s functions require the following physical demands: occasional lifting, carrying, pushing, and/or pulling; some climbing and balancing; frequent stooping, kneeling, crouching, and/or crawling; and significant fine finger dexterity. Generally the job requires 15% sitting, 45% walking and 40% standing. The job is performed under minimal temperature variations and in a generally hazard free environment. The position requires a high school diploma or G.E.D. The position also requires computer proficiency and one year of experience with similar populations. The position requires a valid driver’s license. Specific ability-based competencies required to satisfactorily perform the functions of the job include: adapting to changing work priorities; developing effective working relationships; displaying mechanical aptitude; working under time constraints; and complying with OSHA regulations. Specific knowledge based competencies required to satisfactorily perform the functions of the job include: standard methods, materials and tools used in assigned skilled trade; safety practices and procedures as well as ensuring timely reporting and responsibility to policies and procedures of URC and NJ DOC. Cleans facilities and ground areas as needed and/or assigned for the purpose of providing an effective working/housing environment, preventing damage and/or limiting liability exposure. Coordinates with skilled tradesmen and/or assigned supervisor(s) for the purpose of completing projects and work orders efficiently. Assists maintenance vendors with projects (e.g. transporting and/or securing materials, completing specific tasks, etc.) for the purpose of completing projects in a safe and efficient manner. Installs system component parts, office equipment and facility components (e.g. lighting, heating and ventilating systems, alarms, plumbing, security, electrical panels, etc.) for the purpose of providing a safe workable/housing environment. Maintains assigned vehicle, tools and equipment for the purpose of ensuring availability in safe operating condition. Participates in meetings, workshops, trainings, and seminars for the purpose of conveying and/or gathering information required to perform functions. Performs a wide variety of general and semiskilled maintenance activities (e.g. carpentry, painting, electrical, etc.) for the purpose of completing projects within established time frames. Repairs furniture and building system components for the purpose of ensuring a safe working condition. Transports a variety of tools, equipment and supplies for the purpose of ensuring the availability of materials required at facilities. Performs other related duties as assigned for the purpose of ensuring the efficient and effective functioning of the work/housing environment. Overall Responsibilities include: working under limited supervision following standardized practices and/or methods; providing information and/or advising others; and operating within a defined budget. There is some opportunity to affect the organization’s services. URC is a non-profit organization of smart, hard working and caring individuals dedicated to helping the homeless population in Hudson and Essex County New Jersey. Join us and together we can help build a better tomorrow for those in need today.